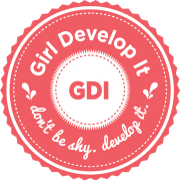 We recently got better acquainted with the fabulous women of Girl Develop It and are so very happy to collaborate with them to bring this class to all women 18+ years old. GDI is aiming to have offer more classes in Harrisonburg and we are happy to facilitate at JMU’s X-Labs/Lakeview Hall. (About / Girls Develop It) Pre-registration required (below). You added Google Analytics tracking code to your site, and you (occasionally) measure site visitors and pageviews. You know there’s more to be done, but you aren’t sure what. This two session class will help you better understand Google Analytics, select metrics to measure your site and build a dashboard that tracks your website performance. Top class takeaways: Understand what Google’s metrics and reports mean… and which you should actually pay attention to. Get best practices for collecting and using website data. Get help turning your business goals into specific, measurable metrics. Use Google’s new tool Data Studio to build your own dashboard. This talk will be hands on and questions are welcome! This class is for people with various levels of technical experience (beginner to advanced) who want to better utilize Google Analytics tools to measure their website’s statistics. 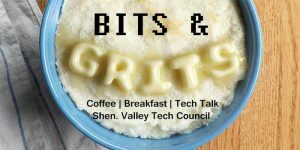 Bring a laptop to follow along and experiment during this hands-on workshop. Emily Patterson is the founder of Bee Measure ( http://beemeasure.com/ ), an agency that helps nonprofits use data to create more effective websites and digital marketing. She started the company in 2016 by drawing on her experience at Public Broadcasting Service and Better Business Bureau. Emily believes that data can help organizations of all sizes work smarter and do more with limited budgets. When she’s not getting nerdy at work, Emily enjoys the outdoors, reading and sampling Charlottesville’s many breweries. Emily is also a PMI-certified Project Management Professional. Location: JMU Lakeview Hall (JMU XLabs), 298 Port Republic Rd, Harrisonburg, VA 22807.